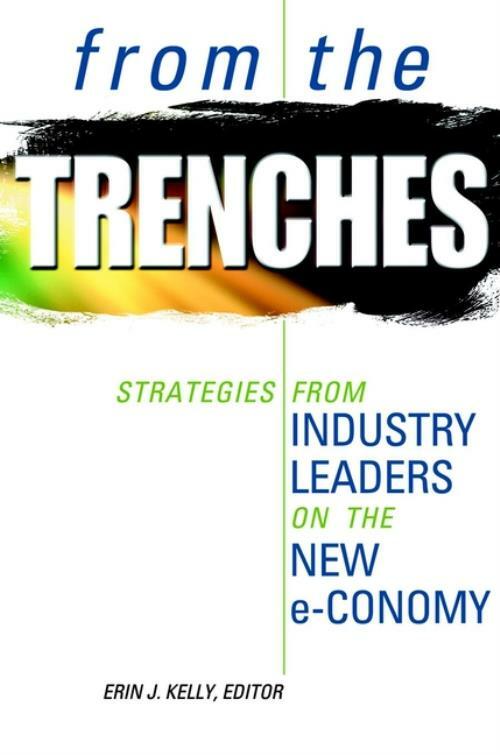 Bringing together essays written by more than twenty luminaries from the world of e–business, From the Trenches affords readers a uniquely broad and authoritative perspective on the present and future of the global e–conomy and the real business issues that are driving it. CEOs, executives, and marketers from cutting–edge e–businesses, such as Nortel Networks, EDS Systemhouse, the Boston Consulting Group, as well as venture capitalists, entrepreneurs, and innovators in a range of industries, including telecommunications and new media, share their strategies for reinventing business for a digital economy. They also offer cogent answers to critical questions concerning content distribution in an Internet world, e–business financing, legal and privacy issues, Internet marketing, reengineering businesses to improve productivity and find success in a digital environment, and much more. Building A Sustainable E–Business (S. Allan). e–Power to the People! (C. Moorehead). Seeing Change, Leading Change (K. Peters). Using VC Experience to Create Business Value (J. Hyland). New Technologies in Schools: Please Adjust Your Screens (M. Moll). High–energy High Tech: Turn on the Network (V. Saunders). "i" Before "e"–No Exceptions (S. Whittaker). The Internet in the Age of Consumer Power (P. Tremaine). Regulation in the Information Age: The CRTC and New Media (F. Bertrand). Privacy in Cyberspace: Challenge of the 21st Century (B. McIsaac). Kids and the Art of the Internet (K. Baggott). Culture and Convergence (S. Scott). U8TV: A Convergence of Television and the Internet (P. Yaffe). Making News Interactive (M. Hill). Caught in the Web? : Broadcast Regulation in the New Media World (J. Bol). Pamela Wallin: The Media Is You (P. Wallin).